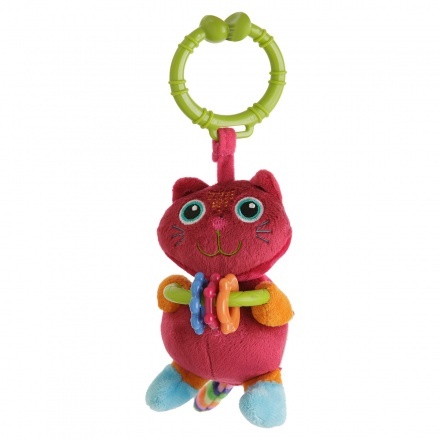 Make a cheerful choice for your child with this rattle. It sports stuffed cat in colourful appliques and print making it high on fashion. The ring hook allows easy usage.